Join Creative Write-it this January, for series of full-day crafty workshops for kids and teens. Creative Write-it exists today thanks to local author Amy Han, who saw an opportunity to help others by combining her passion for writing and love of working with kids. 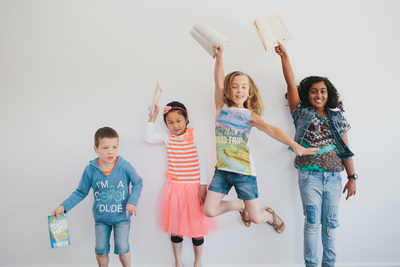 Kids and teens workshops, run in two locations; Fitzroy North and Balwyn North, teach creative writing, illustration and craft related activities. This is an opportunity for kids and youth to craft something special, delve into their imagination, and pick up writing tips, too. There's a spies and detectives day, magical beasts and fantasy, as well as for teens (aged 12plus), two workshops on writing for stage or screen.